Gritty mania has fully enveloped Philadelphia. 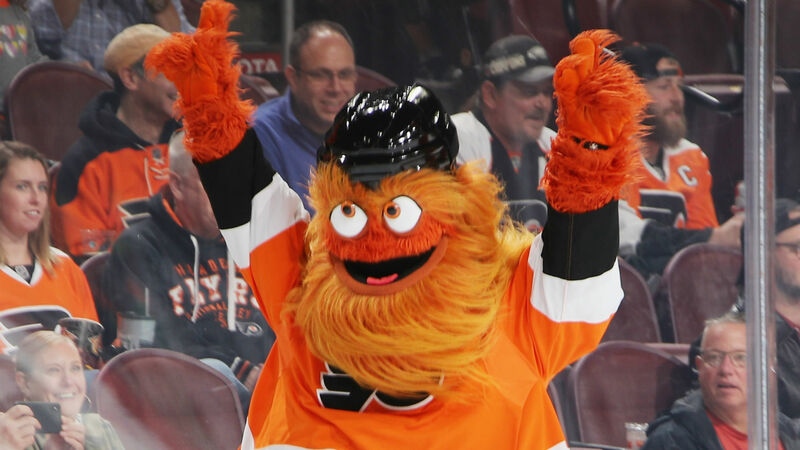 The newest NHL mascot that everyone loves to hate, is definitely growing on the population in the City of Brotherly Love. Now, the big, orange mascot that looks like a cross between the Flyers’ Claude Giroux, Jakub Voracek and the Dodgers’ Justin Turner has reached a new high – he is on a goalie mask. Goaltender Calvin Pickard, who was claimed off waivers from the Toronto Maple Leafs on Oct. 2, has finally revamped his helmet in the Flyers colors – and he went full Gritty. Only time will tell if the new design will instill the same fear in shooters, as Gritty has to everyone else.